The defining characteristic of the T-62A, as shared with it's Tier X Soviet brethren, is the versatility and flexibility that it provides the driver on the battlefield. The tank is mobile, has an exceptional gun with impressive stats (albeit, very low alpha damage and abysmal gun depression) and can adapt to the situation with far greater ease than many of it's peers. 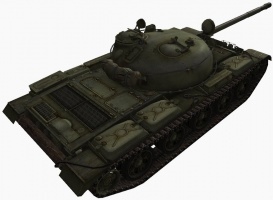 By comparison with other Tier X Soviet Medium Tanks, the T-62A defines itself as the most hardheaded tank of the group, sporting a very strong turret which uses a combination of a highly rounded design and high armor values to deflect incoming fire of even some of the most powerful guns in the game so long as premium ammunition is not in use. 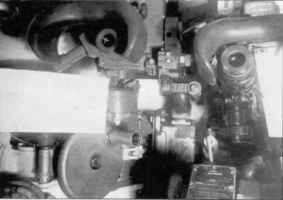 The tank thrives in hull-down positions which allow it to have a clear line of sight on advancing enemy vehicles while exposing only its phenomenal turret. Even more so if the T-62A successfully finds itself on the flank of enemy vehicles that are forced to engage several of its teammates at once. In this case, the T-62A will use its phenomenal, accurate and rapid firing gun with excellent penetration to punish even the most heavily armored foes until their vehicles are turned into smoldering wrecks. 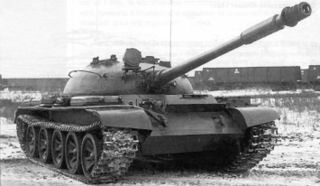 Such versatility does not come without a price, however, and the T-62A pays the price for its multi-role capabilities by having a very weak hull armor layout, even by the standards of other Soviet medium tanks at its tier and even some tanks below its tier, with the hull armor of the T-62A being only on par with the tier VIII Type 59. Such weakness does not bode well for the tank's modules, many of which are located in the lower hull and can suffer extensive damage when hit. 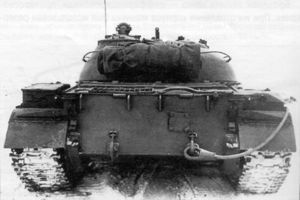 For example, the T-62A's fuel tank is located in the front of the hull and right next to the driver. Thanks to the insufficient armor protection, an enemy shell which penetrates the front of the tank will not only kill the driver but more often than not damage the fuel tank and set the vehicle on fire. And if that wasn't enough reason to exercise extreme caution, the player should also be aware of the fact that the T-62A is one of the easiest vehicles in the game to destroy through the detonation of the ammo rack when shot in the side. In short, when driving this vehicle without the aid of your teammates, avoid head on confrontations with enemy vehicles and instead try to either flank or retreat to a safe position and wait for reinforcements. Otherwise, you risk suffering extensive damage to your tank when trading shots with other vehicles and even if you win the first encounter, you may lose the battle in the long run as your diminished hit-point count will leave you with extremely limited options for the rest of the match. In conclusion, the best way to play the T-62A is through constant observation of the situation on the battlefield. 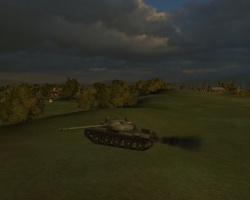 The player of the tank should respond to changing battlefield conditions by constantly moving their tank to the area that needs attention and assistance in order to prevent a breakthrough by the enemy team. Use the tank where it's the strongest, in hull-down positions with good lines of sight to the enemy, and fire from a good distance to minimize the risk to your own vehicle. 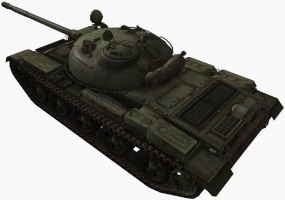 A well played T-62A is a ferocious fighter that will mercilessly dispatch its opponents and will easily see itself on top of the team list as a major contributor in all aspects. Much like the other Soviet medium tanks, the T-62A excels at flanking attacks. However, the 100 mm U-8TS it carries also has excellent penetration, enough to penetrate the weakspots of even the heaviest tanks in the game. Combined with an incredible rate-of-fire, superb gun handling, high shell velocity, and good base accuracy, the T-62A can quickly rack up the damage despite the low individual shell damage if left unhindered. They also allow the T-62A to make quick and relatively accurate snap shots, and also hit targets while firing on the move with acceptable consistency. If there are plentiful of other medium tanks in the team list for frontline duties, one could also try sniping with this decent weapon to some degree of success. 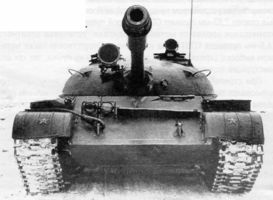 Like the preceding T-54, the T-62A has a near impenetrable turret, vulnerable to only the biggest tank destroyer guns or premium ammunition. The hull of the T-62A is a completely different story; it is actually weaker than the T-54's, and is easily penetrated by even Tier 8 tanks. To make matters worse, there is a fuel tank situated next to the driver which is very vulnerable to being set on fire. 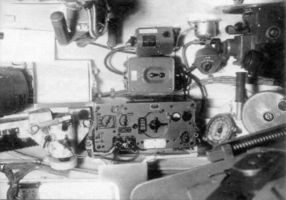 In places where the gun depression allow it to hide the hull of the tank, it can be an incredibly difficult target to destroy. Unfortunately, with only 5 degrees of gun depression, the options for this are fairly limited compared to other medium tanks. The maneuverability of the T-62A is quite good, despite the underpowered engine. Its suspension has some of the best terrain resistance values in the game to compensate, although the acceleration can feel a little sluggish compared to the T-54 or the Object 140. The maximum speed is somewhat low, at only 50 km/h, but it is still managable to fulfill its role as a medium tank. This page was last modified on 13 April 2019, at 13:13. This page has been accessed 482,850 times.